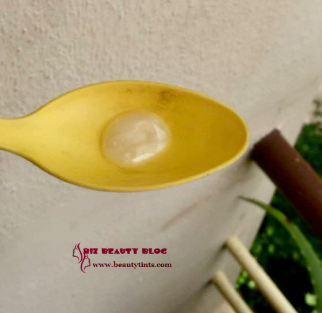 Sriz Beauty Blog: Satthwa Moroccan Argan Oil Shampoo Review!!! 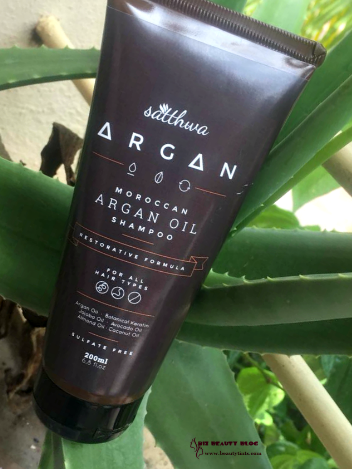 Satthwa Moroccan Argan Oil Shampoo Review!!! 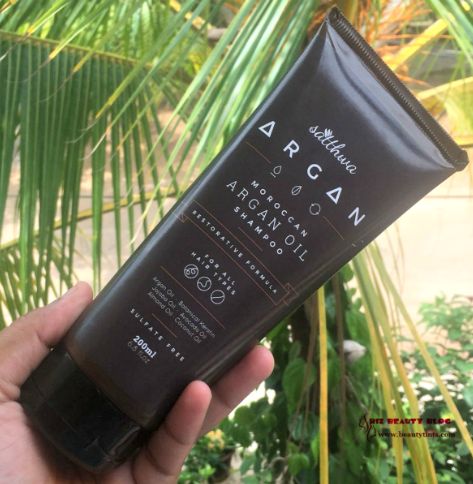 I am back after a break and today I am reviewing Satthwa Moroccan Argan Oil Shampoo, which I am using from past 3-4 weeks. 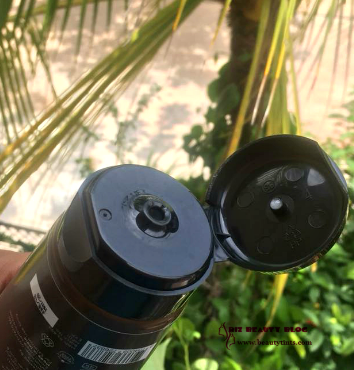 This is a Sulfate free shampoo which is enriched with the goodness of Moroccan Argan oil along with several other important oils like Jojoba etc., Check out the complete review to know how it worked for me? 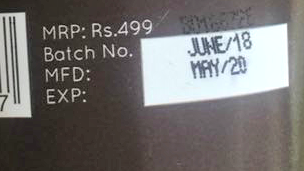 Packaging :This oil comes in a brown colored tube with a flip cap. My View On the Product: I am a great fan of Satthwa Premium hair oil, which is my all-time favorite hair oil. When I am searching for a sulfate free shampoo,I found this Satthwa Moroccan Argan Oil Shampoo and immediately I bought it without any second thought and tried it. I have been using this Satthwa Argan Oil shampoo from past 3-4 weeks, Once a week. This Shampoo comes in a sturdy travel-friendly brown colored tube packaging with a flip cap. The packaging is quite stylish. The shampoo has a mediocre consistency and has a mild herbal kind of fragrance, which reminds me of Shikakai fragrance. It lathers well and cleanses the scalp and hair thoroughly making it clean and fresh. It gets rinsed off easily without leaving any residues behind. A little goes a long way and one tube lasts easily for more than 15 washes, which makes it cost-efficient. 1)Moroccan Argan Oil is known for making the hair smooth and silky. 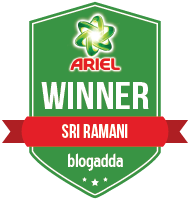 2) Almond Oil nourishes and strengthens the hair and helps in reducing the hair fall. 3) Avocado Oil helps in generation of new hair follicles. along with these oils, this shampoo also contains botanical Keratin, which helps in reducing the frizziness of dry hair. The best thing about this shampoo is it is Sulfate free, Preservative free, Alcohol free and is suitable for all hair types. 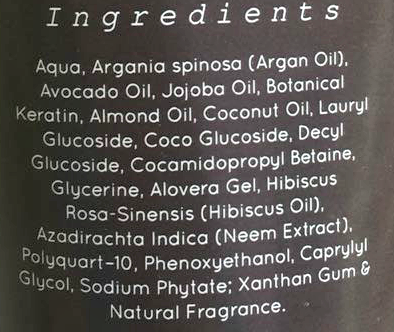 Final Conclusion about Satthwa Argan Oil Shampoo: Overall, it is an All-in-one shampoo which is chemical free and takes care of all hair issues and makes hair healthy and soft in a natural way!It is all worth for the price! You can check out more about the Shampoo from their website here. 'Saree'- The Most Versatile Indian Attire!!! 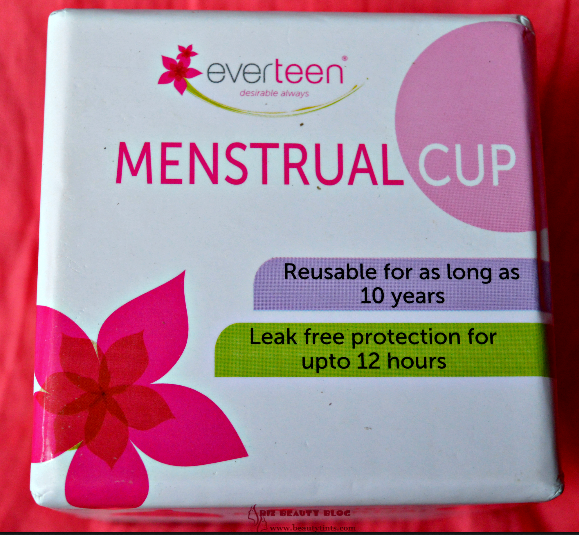 The Game Changer For Every Woman!! !